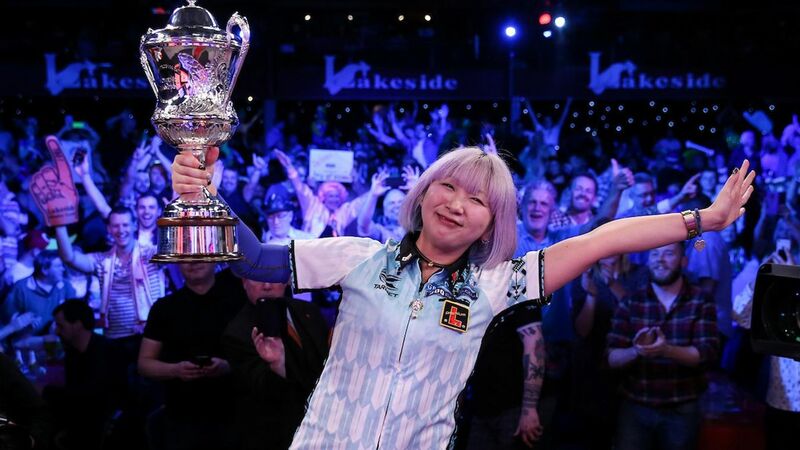 Mikuru Suzuki claimed an historic 3-0 victory over Lorraine Winstanley in the women's final of the BDO World Darts Championship at the Lakeside. The Japanese star, who is the first Asian woman to compete on this famous stage, began her memorable debut by dethroning the four-time champion Lisa Ashton in the opening round seven days ago and ended it by becoming the first female champion to come from outside Europe. More significantly, she's now also the first Asian world champion - male or female - in either the PDC or BDO organisations and this landmark triumph will see her shoot to darting stardom. Suzuki raced through the opening set 3-0 thanks to checkouts of 72, 148 and 80 and that set the tone for a dominant performance in which she only dropped two legs. Winstanley, the top seed, was competing in her maiden final in her ninth year here and although she couldn't match The Miracle's scoring power, she did nail an impressive checkout of 99 in the third set to show signs of resistance. But two legs later it was all over and Suzuki's average of 90.12, boosted by two 180s, was the first above 90 in the final of the women's tournament, which has been running since 2001. The 36-year-old also threatened what would have been the first ever televised women's nine-darter after back-to-back 180s at the start of the second set but her seventh dart narrowly missed the red bit. The result completed an astonishingly commanding week for Suzuki, who won all nine sets she played against Ashton, Sharon Prins, Maria O’Brien and Winstanley and only lost 11 of the 38 legs. She takes home a winners' cheque of £12,000 but this historic success could open more lucrative doors for her at home and abroad.